Ridge Runner Royal Congress Pocket Knife Yellow | BUDK.com - Knives & Swords At The Lowest Prices! 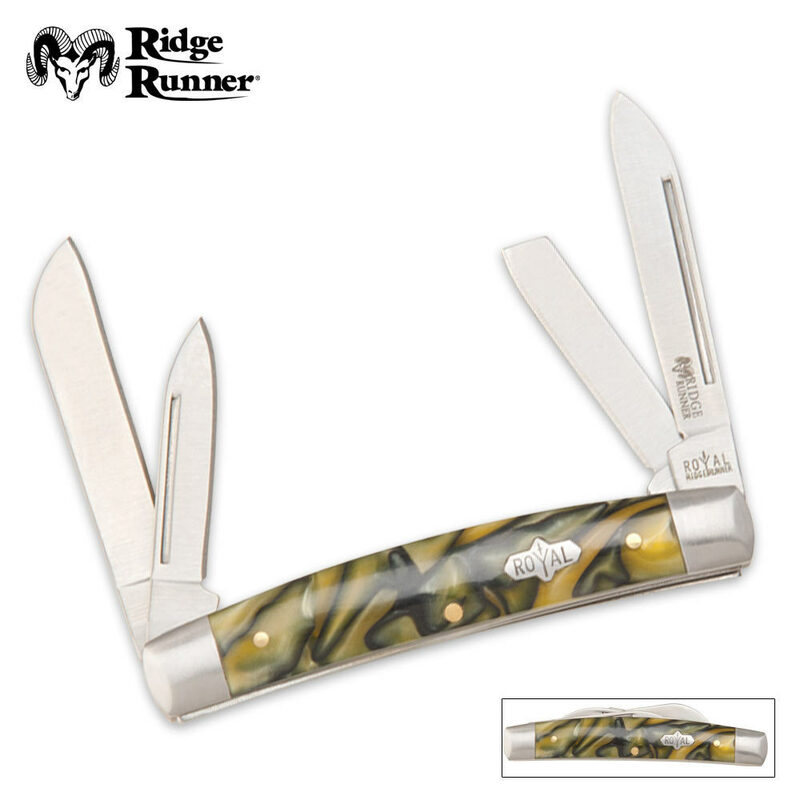 This affordable Ridge Runner knife offers the same great features and functionality as those outrageously priced name brand models! The blade is solid, AUS-6 stainless steel construction. The custom yellow handles offer a beautiful pattern with a Royal shield inlay and stainless steel bolsters. Great starter knife, nephew very happy with it. Quality, fit and finish, is very nice as well.